Our study of algebra will yield many powerful tools for working with equations and variables and using them to solve a wide range of problems, but it is important not to forget what you expressions represent. We don’t want you to fall into the all too common trap of blindly manipulating the symbols on the page, ignoring the concepts that give them meaning. To help us do that we are going to use algebra tiles. 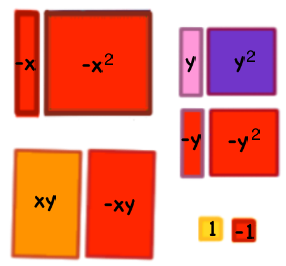 In this video we will looks at what each algebra tile represents and how the tiles are used. There is no single answer, of course, but if we are looking for something visual, $x^2$ is the area of a square with a side length of $x$. Don’t pay any mind to the specific size of the square. If we pick a value for $x$, then we can draw this shape exactly that large, but until then we just pretend that the side length is whatever $x$ is. Since we are just using this as a visualization, all that matters is that we are consistent. 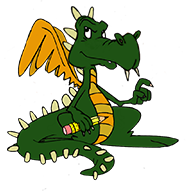 To create your own algebra manipulatives click the “Notes” button on the left. 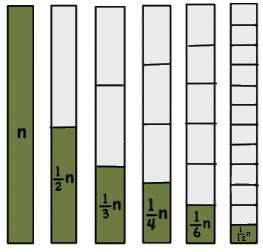 “Did You Know” that you can represent algebraic fractions using algebra tiles?